About this magazine: Whether you're just starting a new business venture or looking to make investments for your growing business, Entrepreneur offers solid advice and strategies. Content is not just geared towards owners of established and expanding companies. It has much information for those looking to start their own business. Entrepreneur publishes the "Franchise 500", which lists the top franchise opportunities for business people. Read stories from other business owners who have dealt with expanding their own business and learn how they faced the challenge. 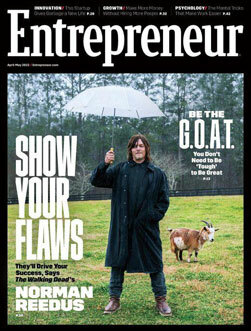 Each issue offers articles presenting the guidance you and your business need.